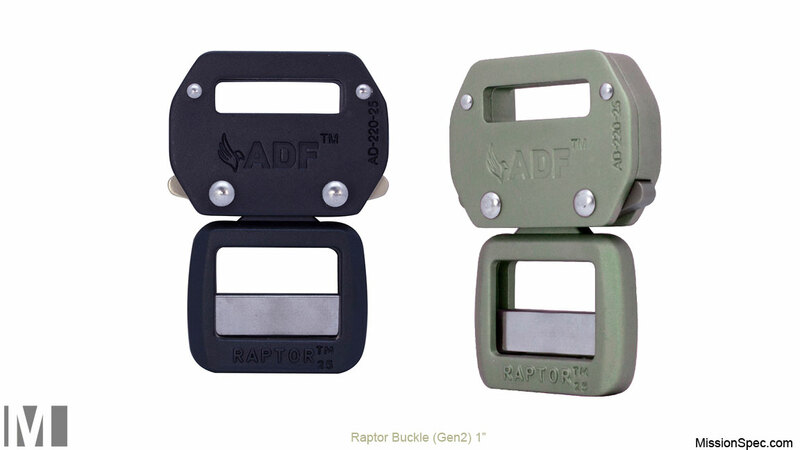 Buckles sizes reference the size of webbing they interface with. 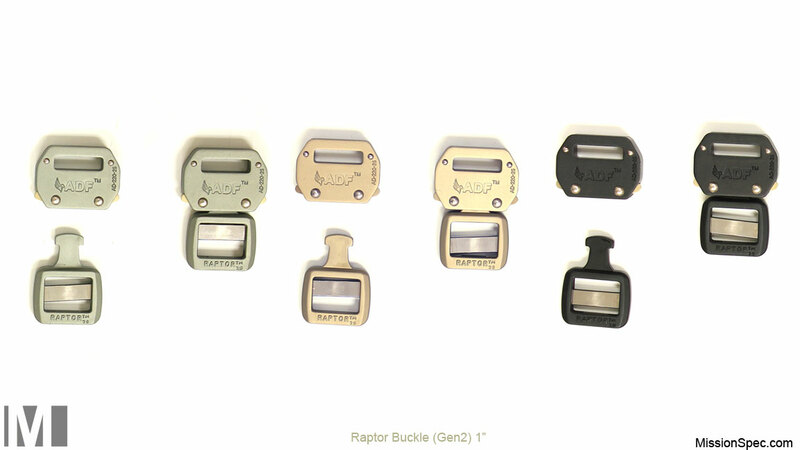 A 1.5″ Raptor is made to work with 1.5″ webbing. The indicated size DOES NOT pertain to the overall size of the buckle. International Customers (outside USA) click here. Dealers, please contact us for volume pricing. 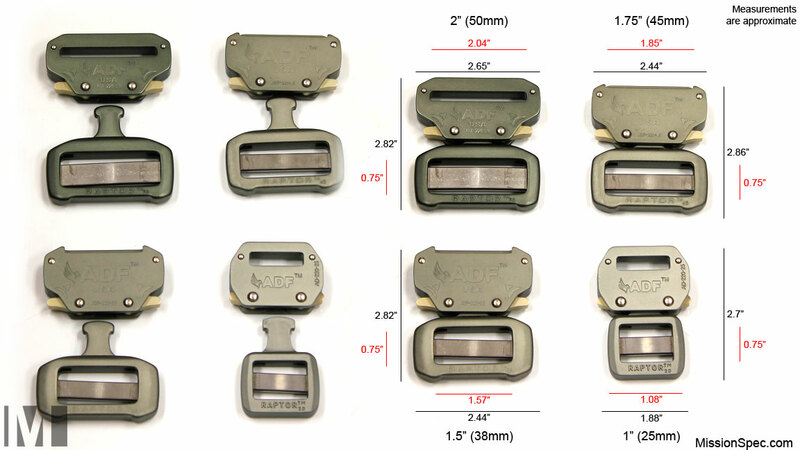 Sizes available: 1″, 1.5″, 1.75″, 2″ (2.25″ coming soon). 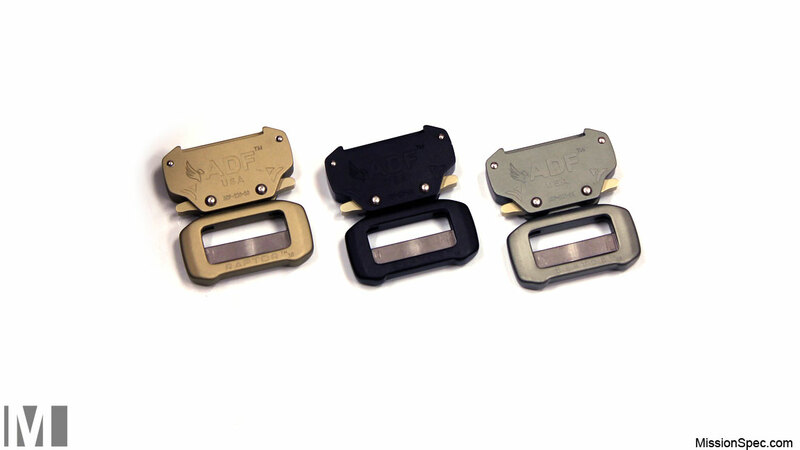 Colors Available: Black, Coyote, Olive Drab (OD) Green. Other finishes available. Use contact form for more info. Stainless steel 306 slide bar. 3rd party testing sand blast MIL-STD-810, salt spray 50 hours, salt water 24 hours, tensile test. ANSI Z359.1-2007, CSA, CE, NFPA 1983. Available for immediate purchase and shipment. 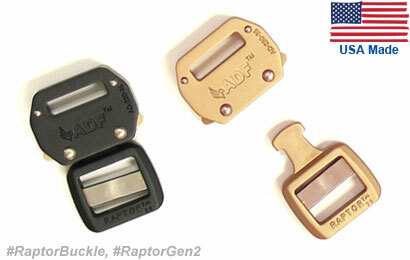 Do It Your Self’ers will recognize the immediate benefits of the Raptor when building their own gear or improving existing gear. Both release tabs must be pressed simultaneously to disengage.